SBT and Insurance company has jointly agreed to create a maritime insurance program. The first of its kind in the history of trading industry to be offered to customers all over the world. GPP protection period starts from the departure port in Japan, USA, UK, Germany, Thailand, South Korea to the final destination you designate. Three Coverage Options based on your need! 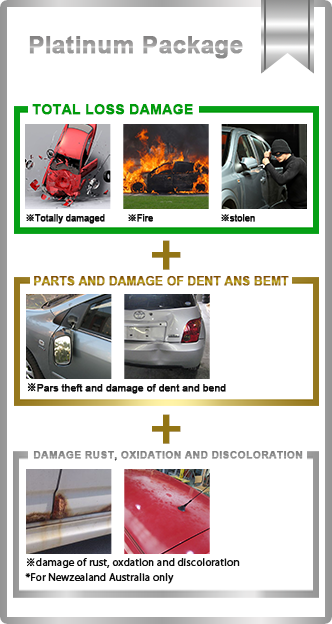 jettison and theft of each whole car unit. Bending and Denting sustained during transportation. Oxidation and Discoloration gathered during transportation. 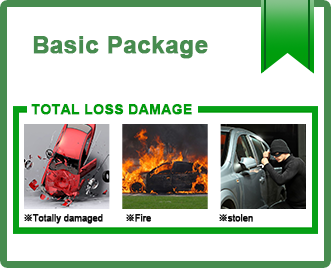 We can receive your damage report and claim from BELOW URL 24h/7days. GPP staff will check the information and will respond on the next working day. In case of accidents, please immediately contact SBT so that SBT and the insurance company can verify whether the loss is recoverable under the Protection Program. Insurance to start the claim procedure. if the claims are payable and contact SBT. purchased cars will be refunded from SBT. 1. Please call SBT immediately and ask for further assistance. 2. 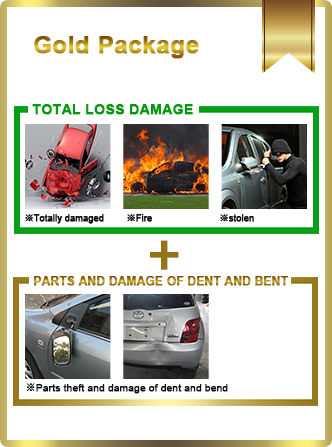 Please preserve the purchased car in their original damaged condition. by Mitsui Sumitomo Insurance. Any unpermitted repairs or disposal may result into non-refundable. f. Photos of the damaged cars. a. The insurance which Mitsui Sumitomo Insurance provides will covers only interests of SBT. No insurance coverage will be directly provided for customers of SBT. b. Mitsui Sumitomo Insurance shall not be liable for the purchase contracts or any refunding arrangements made between SBT and the customers. and other clauses which are applied to the insurance contract between SBT and the insurance company. In no case shall SBT guarantee any losses caused by risks not covered under Institute Cargo Clauses (C) and other clauses of the insurance contract. If you need additional coverage of SBT’s Protection Program for your purchased cars, please contact SBT.